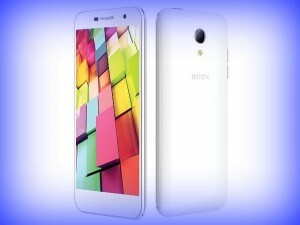 Intex launched added a new product to its Aqua series, the handset will offered with a price tag of Rs. 9,499. Highlights of the handset are the 4G connectivity and the regional language support. It is offered in black and white color variants. New Delhi: The new handset in Aqua series is 4G+ and Intex is offering the handset with 5 inch display. The display resolution is 720 x 1280 pixels. It weighs 136.5 grams. The handset is powered by quad core MediaTek MT6735 processor whose clock speed is 1.3 GHz. The processor is paired with 2 GB RAM and the internal storage provided is 16 GB. Memory can be expanded up to 32 GB via micro SD. The handset runs on Android 5.0 Lollipop operating system. The handset features 13 megapixel camera at rear and 5 megapixel camera at front. Apart from usual connectivity options, it also supports 4G. Other features are 3.5 mm headphones and USB charging. Battery under the hood is 2300 mAh battery. On the launching of new Aqua phone, Intex mobiles said that they are happy to offer Aqua 4G+ with enhanced specifications and features. The handset is offered for an affordable price. The phone comes with smart design, tactical price and comes in youthful colors for the targeted consumers. This entry was posted in Launches, Tech on June 6, 2015 by Rakesh.